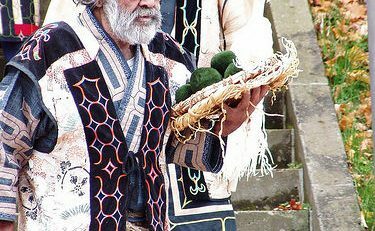 Marimo live at the bottom of Lake Akan, a mysterious lake nestled between the slopes of Mt. O-Akan and Mt. Me-Akan. Within this large lake there are only two locations, Churui Bay and Kinetanpe Bay both situated in the northern area of the lake, where profusions of velvet like spherical marimo can still be seen. In the Taisho Era (1912-1925), marimo could also be seen at Shurikomabetsu Bay and Osaki in the western section of Lake Akan however use of the lake to transport timber and decreases in the lake’s water level as a result of a nearby water powered electrical generator nearly eradicated the marimo population in that area during the Showa Era (1945-1954). Large scale investigations starting in 1995 revealed, however, non-spherical marimo exist at several locations within the lake (please see map ). 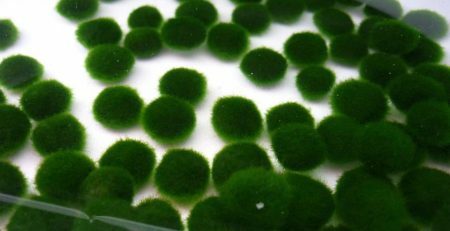 As a result of its shape, this round water plant was called marimo. 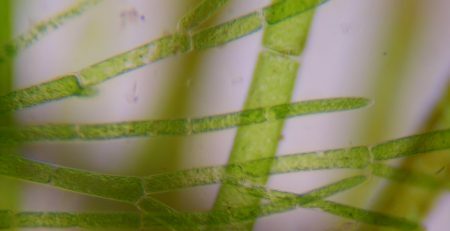 (Mari comes from the Japanese word for ball and mo refers to algae. Marimo, however, exist in a variety of forms. Some marimo live as filaments attached to rocks and submerged trees; these are called epilithic filaments. Other forms such as the fiel-biiry, or free moving filaments, drift freely along the bottom of the lake unattached to stationary objects. In still another variety of marimo called aggregates, thread like filaments attach to one another and live in clumps that drift along the lake’s bottom. 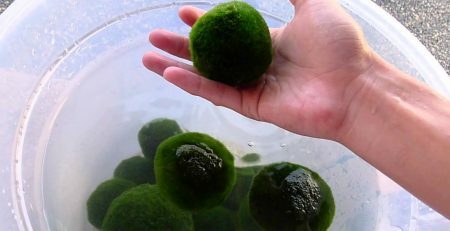 Round marimo which can be seen living in colonies in Lake Akan are called radial spheroids. Very few of these velvety surfaced samples exist. 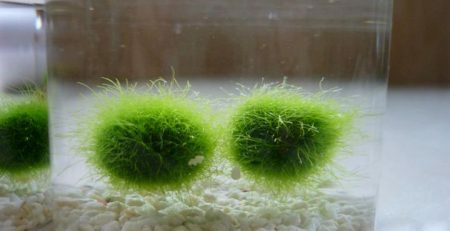 The various environmental factors and conditions required for the sustenance of spherical marimo are currently being investigated. As they exist in a variety of forms, marimo possess rich variations in their way of living. Although variations exist in their appearance and ways of living, all of these forms are undeniably magnificent living marimo. Lake Akan’s diamond shape allows arms of water to penetrate inland creating shallow sandy areas within the lake. 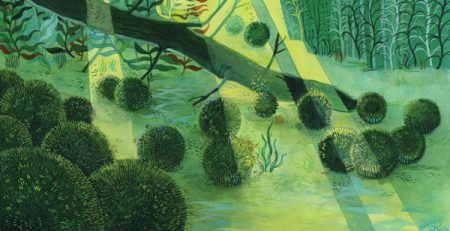 These shallow areas are imperative for the spherical marimo’s survival as they help in maintaining the marimo’s round shape. Hot springs feeding into Lake Akan from Mt. 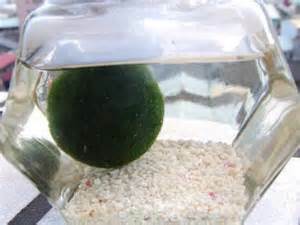 O-Akan and other underground sources also appear to stimulate the marimo’s growth.